Pattern only is also my favorite. But the bigger question is, is there a chance you'd offer these in 320x400? I have a small desk, and 900x400 over covers my work area. This is my dilemma as well, I love a lot of the desk mat designs that have been coming into popularity but they’re all far too large for the space I have. That said, the pattern only is definitely my favorite. I just wish there was a little more of the salmon tone present in it. Maybe something like either one of the sets of Bentō novelties, or the Kanji, written in the salmon pink in the bottom right corner? The MOQ is 50, I’ll see with Novelkeys if we will offer both sides! Pattern in my favorite and I want it right this minute. Biggest size possible! For the mat, the basic pattern one is my favourite style. The idea to add some salmon colour into it in either some accents or on the text, I also like. Also, after seeing the Torii gate novelty on the nano bento teaser image, I want that novelty in the main set! It looks great and is probably the nicest novelty I've seen for the set. I’m pretty sure it’s exclusive to the nano slider. And that is why I said I would prefer/want it in the main set. It also isn't explicitly said whether it would be or not, just that we may see exclusive novelties with the nano slider. I would prefer not to see exclusive novelties at all as I don't have any interest in the nano slider. Sadly the shrine/Torii won't be available in the GMK set. I wanted to only have bento boxes as novelties. The Ramen makes sense since it's in the same "registry" (food), that's why I kept it. I'm still working on the extra set for the macro pad, and there will be 2 new novelties (including the Torii). Also, for the deskmat, I might offer a 450x400mm version too if there is enough interest. 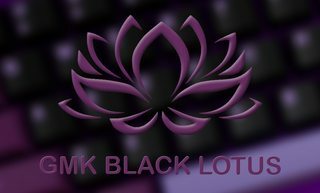 are the desk mats final or is there a chance of a salmon colored pattern one? My deadline for ordering protoypes is mid-december anyway! 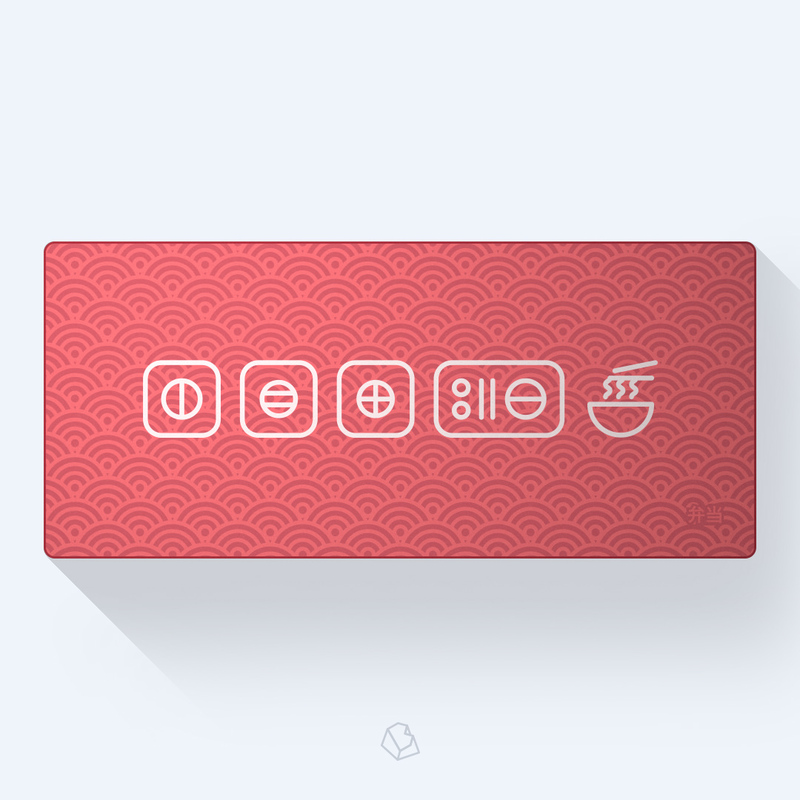 ps: there is no gradient, that's just the light which gives this effect on the mockup. Just thought I'd throw it out there as I think its the best one for the set even though it doesn't technically fit the theme. Sad to see it locked behind another product I'm 99% sure I won't be buying. With a MOQ of 50, I will have to limit the variety of the deskmats. I might offer blank salmon and blank dark only, and maybe another one. If I do so, there will be only one size available tho. Oof could you please reconsider about offering the mat in smaller size? 900x400 is really too big for me. I remember camping also had one in smaller size and it was sold quite well as well! We were thinking about 450x400mm. Hoping for pattern-only blue deskmat, definitely matches the set well and has a nice minimalistic look. blue, pattern only deskmat for me. elegant, understated, minimalist and in keeping with the set. If you haven't decided on deskmats yet, I think a blue one, with a small amount of salmon accents would look nice. Another vote for blue pattern only. Red is just too bright. The salmon mats are very nice! I'm so excited to run the set 25 days left to go! Woop! Fell in love at first sight with this set, gonna be great! 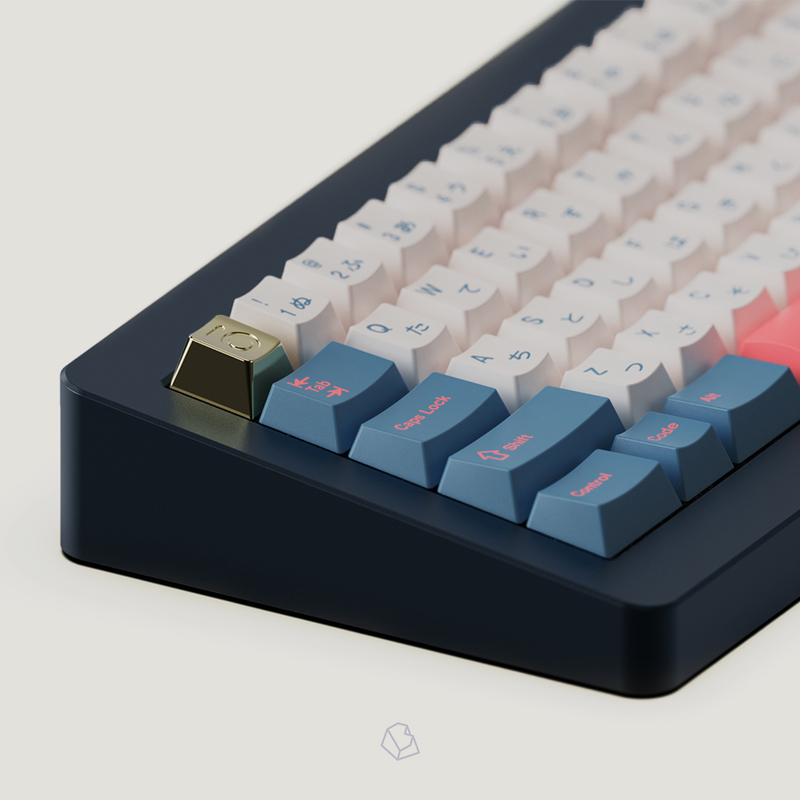 Will I be able to buy the desk mats at the same time as the GB for the Bento Keysets? And the Rama keycaps. And the Nano Bento. I hate you! I just picked Milkshake deskpad..
just kidding. Love you! Can't wait for more of your stuff. Keep up the awesome work! I kinda figured. I just couldn’t tell from the photos. Haha.